Earlier this month I had to opportunity to head on down to Florida for a week. 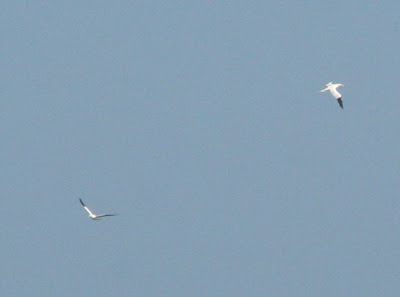 It was the first time I had been down there since I started to list birds so there were "lifers" everywhere. I stayed at my wife's grandmother's cabin in the Florida Highlands. 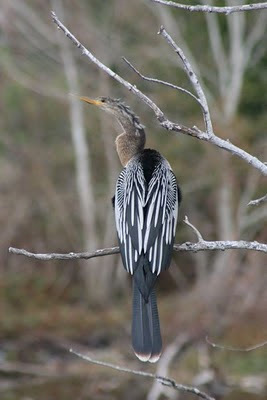 There were good numbers of birds to be seen right out her back door as she lives in a fairly wild place. 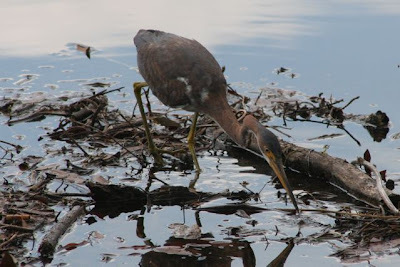 Here's some of the birds I was able to photograph while down there. This red-shouldered hawk hung around pretty much every day. 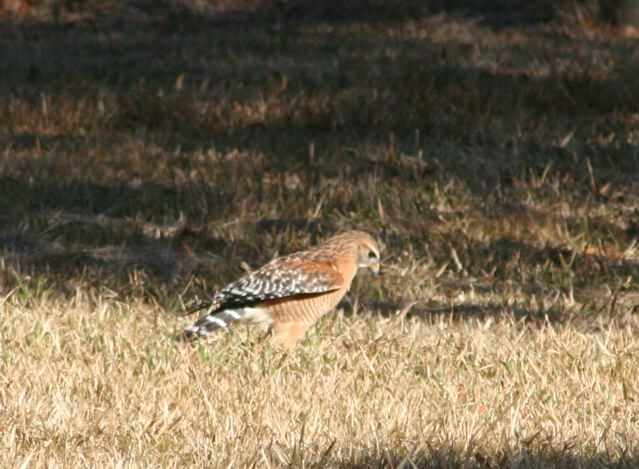 It just caught something in the neighbor's yard when I snapped this photo. 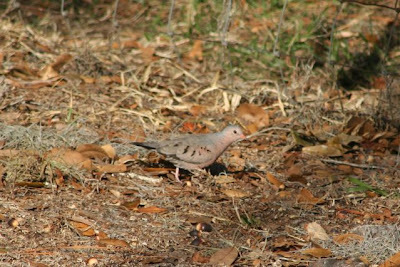 I was able to add two new lifer doves in her yard. 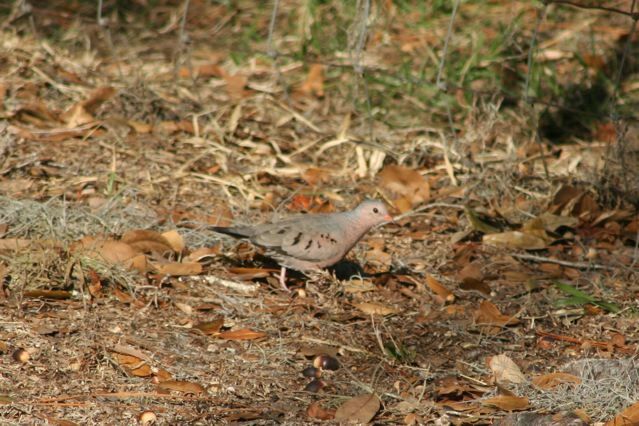 I'd never seen a Common Ground-dove or a White-winged Dove. It should be obvious which one is which. This next one isn't a lifer...yet. Ah taxonomy. 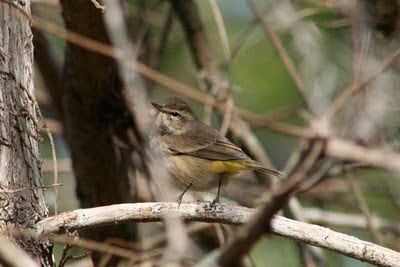 This is Palm Warbler. We have them here in Minnesota but the Palm Warblers I see at work are usually Western Palm Warblers. This is an Eastern Palm Warbler also called a Yellow Palm Warbler. The two are distinct sub-species though they may be split apart into separate species some day. Time will tell on that. They do look different. 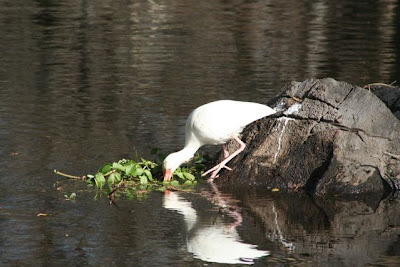 Since the cabin was on a stream there were lots of water birds such as Limpkin, Wood Stork, and White Ibis. 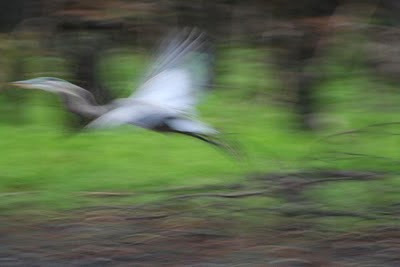 There was also a Great Blue Heron. I see them often at home but I liked how this photo turned out blurry and looks like an impressionistic painting. Here's one of the White Ibis that was there most days. In a non-descript city lake by the side of the highway and across from the McDonalds we stopped at to pirate WiFi, I spotted three new lifers. 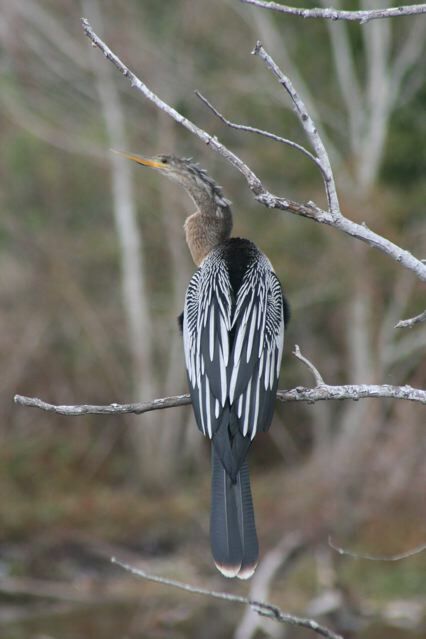 First up, I stopped to take photos of this Anhinga. 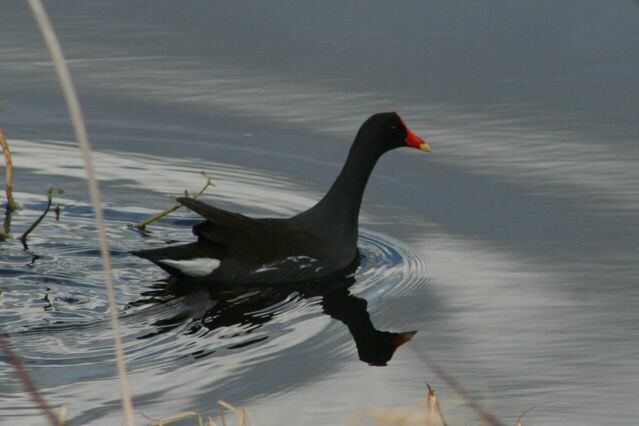 While getting those shots, a common moorhen swam by. On the way back to the car I saw movement and realized there was a Tri-colored Heron walking along the shore. By the last day I was at 18 lifers for the trip. I was pretty happy about that since my goal was 20 lifers and this was a family vacation not a birding trip. We decided to drive the two and a half hours to the closest beach and I'm glad we did. 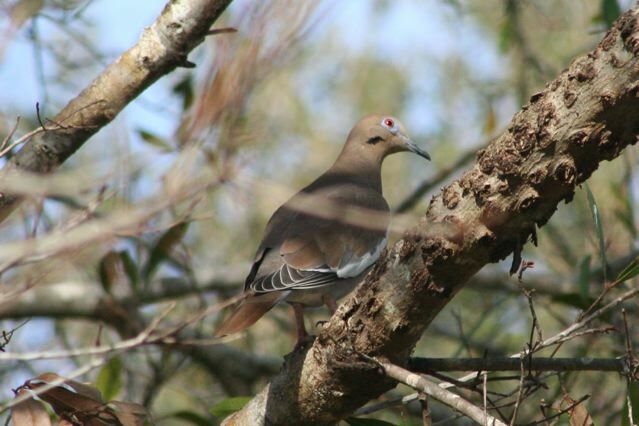 Not only was it a beautiful day I saw a handful of new birds. 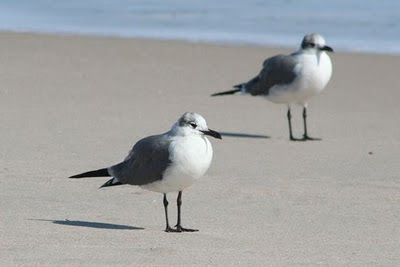 First up were these Laughing Gulls. I took this photo from the boardwalk as I could see a parent about to unleash their kids onto the beach and the kids predictably ran straight for the birds and scared them away. They never did come back so I only got two photos. 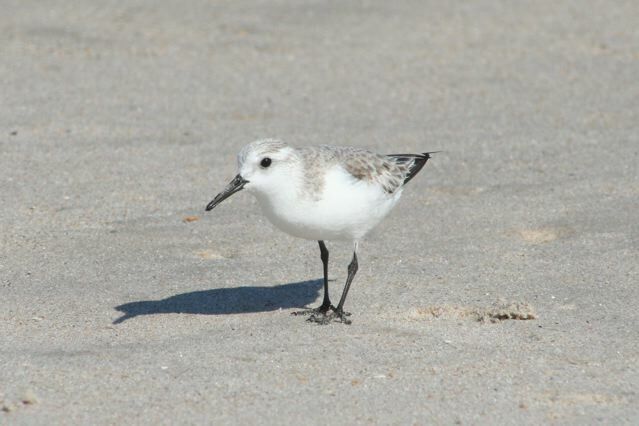 The Sanderlings were another lifer and they are just about the cutest little birds ever. 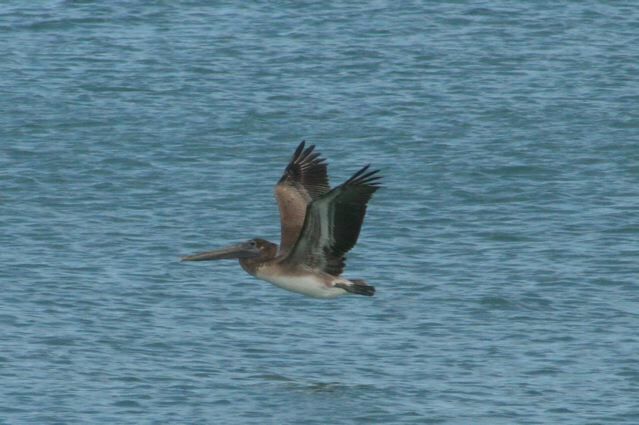 I'd been hoping to see some brown pelicans. I saw them 10 years ago on my Honeymoon but I wasn't listing back then so I didn't count them. It was good to finally get them officially on my life list. Strike that, the brown pelican was already on my life list. I completely forgot I saw them in La Push, Washington back in 2006. 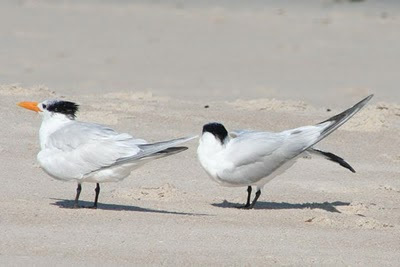 Another bird scared off by some of the kids on the beach were the Royal Terns. They were also a lifer. They seemed willing to come hang out once in a while. 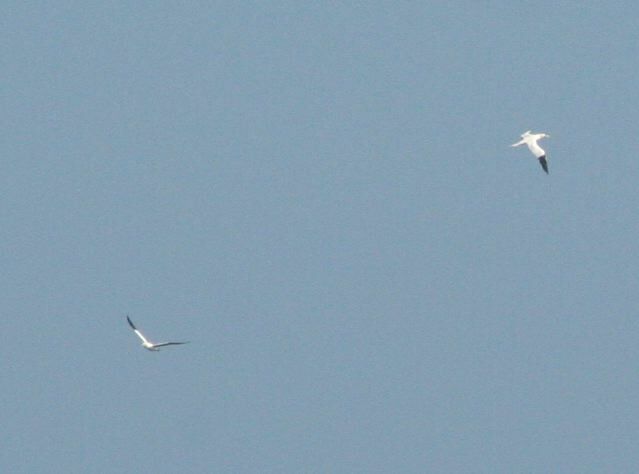 My last lifer on the beach and my last for the trip were these Northern Gannets diving for fish far off the coast. I was gal I had by long lens or I never could have captured even this small of a photo. They were pretty far away. I ended the trip with 21 new birds on my life list and 56 birds total for the trip. There's still plenty more to see down there so I guess I'll have to go back .